Week 1 runs from Monday 8th to Friday 12th April, from 9.30am to 1.30pm, each day at the Beacon Leisure Centre in Burntisland. Week 2 runs from Monday 15th to Friday 19th April, also from 9.30am to 1.30pm, each day at the Michael Woods Centre in Glenrothes. The camps are aimed at all young people – aged 5 to 12 years of age – and are open to anyone who wants to take part, wants to be coached to improve their skills, play football and have a good time. 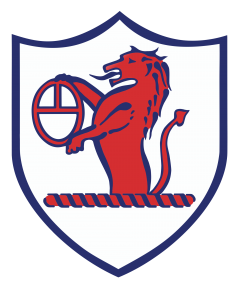 As always, Roary Rover will pop along to join in to a session at one point during both weeks, as will some of the Raith Rovers players. To take part you need to bring sports gear suitable for playing outdoors on a 3G surface (a sweatshirt or light rain jacket/windproof is advisable), a packed lunch and water bottle. Both camps cost £54. In some cases concessions can be applied and there is a discount for booking more than one family member. Enquiries regarding these discounts and booking should be made directly with the Beacon Leisure Centre and the Michael Woods Centre.